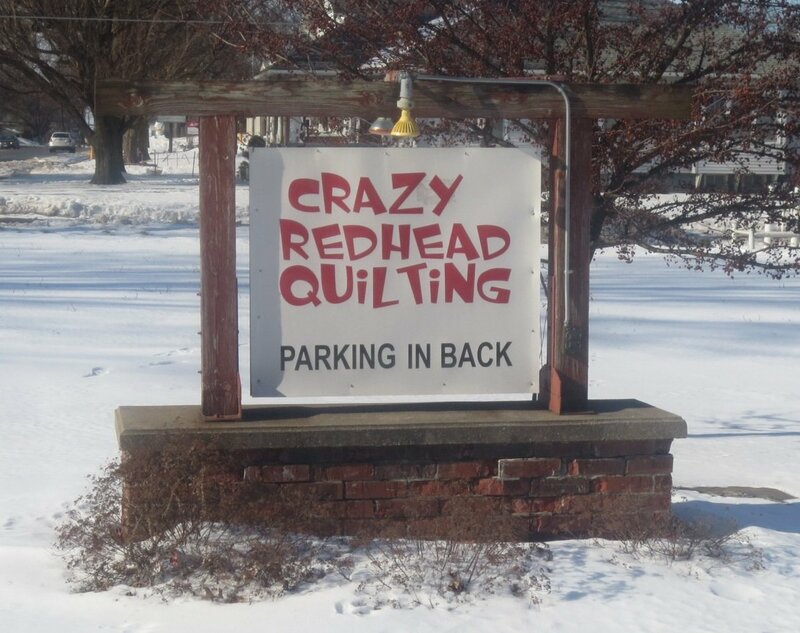 Crazy Redhead Quilting | Serving Newton, IA, since 2012! Crazy Redhead Quilting has been serving the Newton, Iowa community since 2012, offering a vibrant selection of fabric, along with embroidery merchandise and quilting supplies, to meet a wide range of creative sewing needs. Owner Laura Jochems has always dreamed of opening her own business, and after the local quilt shop closed its doors, she recognized the opportunity to pursue her longtime goal. She purchased a little white church located on 814 1st Ave., which seemed like the natural choice for our unique variety of quilting products and antiques. As an experienced quilter (over 20 years), Laura has extensive knowledge of the quilting industry. She also has several years of experience working in a quilt shop, as well as selling innovative sewing machines, and teaching others how to quilt and embroider by machine. As you can see, our "fearless leader" is well qualified as the owner/operator of Crazy Redhead Quilting! Her contagious enthusiasm for quilting is evident in everything from our dynamic, inviting store atmosphere, to our always-evolving inventory of high quality fabrics and supplies. While we always look forward to personal visits from customers at our brick and mortar location, we are just as committed to providing our online shoppers with the same level of service they'd enjoy in-store, treating them to fair prices, prompt shipping...and the friendliest assistance around!